subaru impreza wrx sti gvb - J's Garage Export Co., Ltd.
2007.10 : Subaru announced the release of the brand-new Impreza WRX STi (GRB). In 1994, the first-generation WRX STi model was developed by Subaru Tecnica International (STI) who is Fuji Heavy Industries Ltd. subsidiary specialized in motorsports activities, and Impreza WRX STi has been supported as a high-performance car since then. The third-generation GRB Impreza WRX STi features are including new 5 door design, the new engine, the multi-mode DCCD (Driver's Control Center Differential), and multi-mode VDC (Vehicle Dynamics Control). 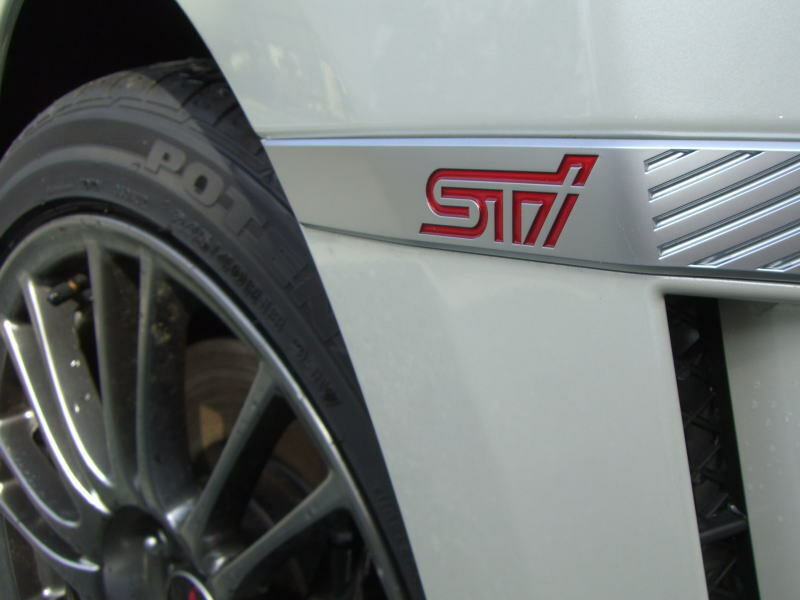 Moreover, the SI chassis (Subaru Intelligent Chassis) has been developed for the WRX STi. The Impreza WRX STi is powered by a twinscroll turbocharged EJ20 2.0liter DOHC 16-valve Boxer engine with dual AVCS that makes 308PS (227kW). The engine performance has been improved by changing the shape of the intake and exhaust ports, by changing the shape of the turbocharger compressor, by installing the TGV (tumble generated valve) in the intake manifold, and by adopting a secondary air system. And electronically controlled throttle which enables finely adjusted control has been adopted. 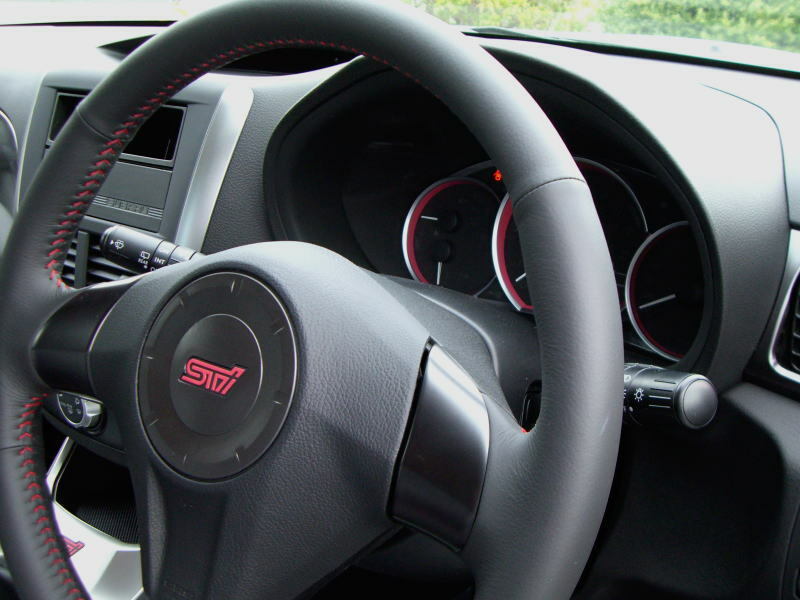 The Impreza WRX STi has adopted SI-DRIVE (Subaru Intelligent Drive) that the driver can select arbitrarily of three different modes ; Intelligent mode, Sport mode, and Sport Sharp mode. The multi-mode DCCD enables the driver to choose from different modes of control for the center differential. And the Impreza WRX STi also have the multi-mode VDC that provides three different modes ; Normal mode, Traction model, and Off mode. And, the Impreza WRX STi is equipped with the strut-type front suspension and the newly designed double-wishbone rear suspension, aluminum cast lower arms, the stabilizer bar, the Brembo ventilated disc brake system, SuperSports ABS with EBD, and Bridgestone RE050A (245/40R18) tires. 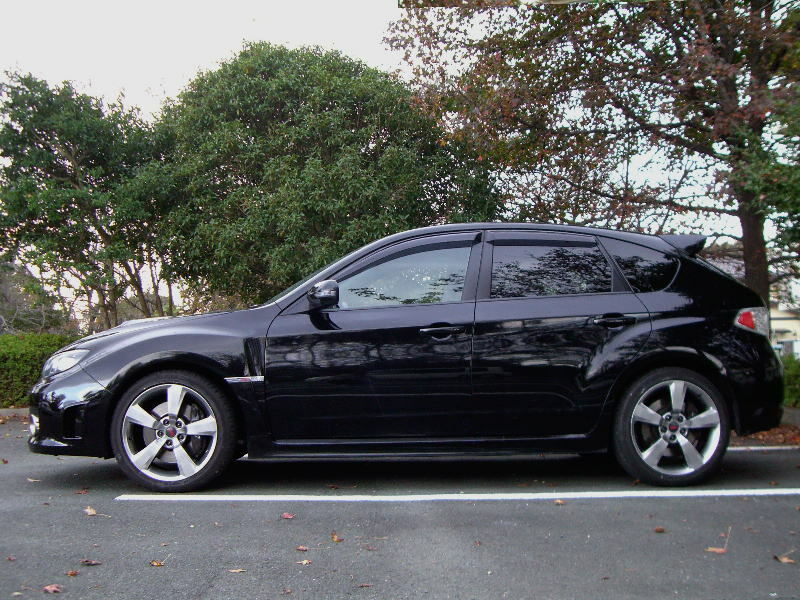 2009.7.23 : The Subaru Impreza WRX STi Spec C was introduced. The turbocharger newly adopted ball bearings for the turbine axle bearing, and the ECU program was also exclusively tuned. Thanks to its specially designed front & rear suspensions and improved body rigidity, the chassis offers stable and linear driving control even in marginal driving conditions. The adoption of an aluminum engine hood, laminar window glasses and a downsized battery resulted in a lighter body, which further polishes the model's driving performance. In addition to the STI A-Line model, the AT version introduced. 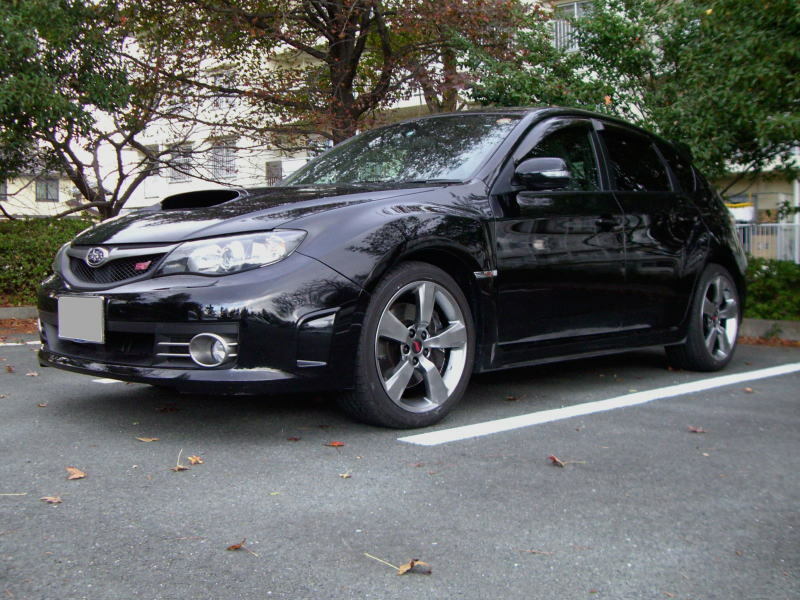 2010.01.7 : Subaru Tecnica International Inc. announced the launch of the Subaru Impreza R205. Most efforts focused on refining handling performance by adopting STI tuned dampers, coil springs, flexible type strut tower bar, flexible type lower arm stiffener of front suspension, and Bridgestone's specially designed RE070 tires. The R205 delivers an increased 235kW (320PS) of maximum output, and 431N.m (44.0kg.m) by adopting the exclusively designed turbocharger with ball bearings for the turbine axle bearing, specially tuned ECU, and the sport muffler with lowered back pressure exhaust. As for exterior, it comes with the front under spoiler, newly developed rear under spoiler, the black rear spoiler improve aerodynamics, exclusively designed 18-inch alloy wheels, specially colored front grille and side STI garnish. 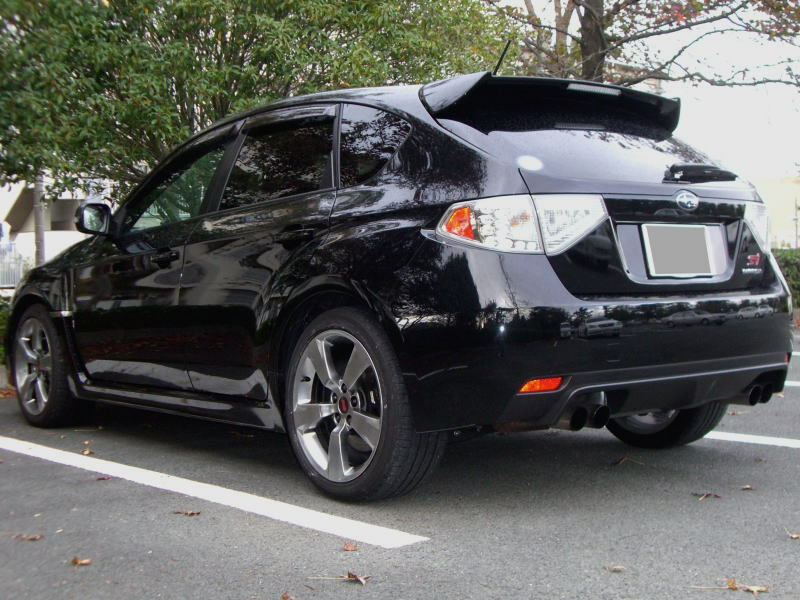 2010.07.1 : The Impreza WRX STi underwent minor model change. 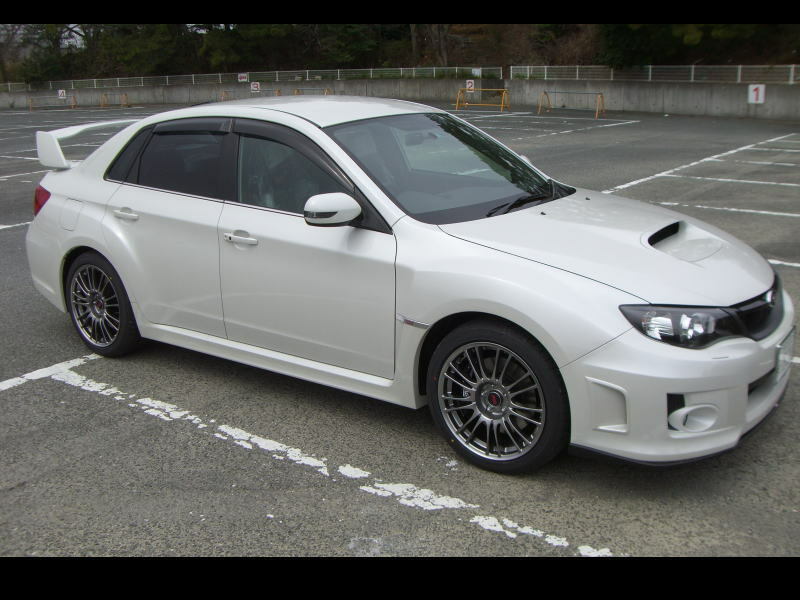 2010.07.01 : Subaru announced the release of the GVB Impreza WRX STi 4door (GVB /GVF). The Impreza WRX STI offers superior driving performance befitting a sports model and is Subaru's performance flagship. The Impreza WRX STI also offers high levels of safety thanks to the Horizontally-Opposed (Boxer) turbo engine serving as a core of the Symmetrical All-Wheel Drive (AWD) system with its excellent weight balance and a low center of gravity. A new aluminum lower arm has been designed for the front suspension, while the rear arm bushes have been changed to a pillow-ball type. The specifications of the sub-frame bushings of the rear suspension have been changed to improve the toe and camber rigidity. These work to improve toe and tread rigidity in order to provide handling performance that is even more faithful to the driver's steering control. 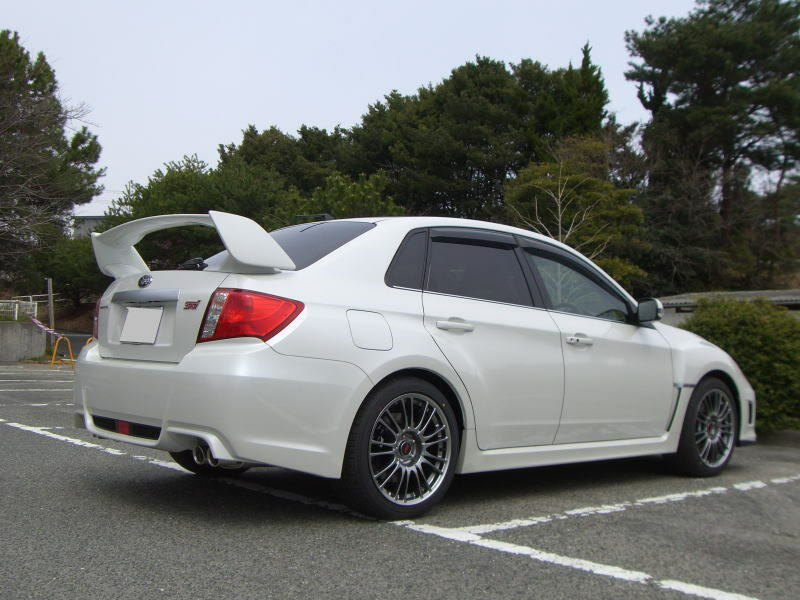 2010.12.21 : The Impreza WRX STi tS, based on the Impreza WRX STi 4door, features including carbon roof, aluminum front hood, STi tuned dampers, STi coil springs, STi tower bar, and STi 180inches allow wheels. And ball bearing twin scroll turbo is adopted. 2010. 12.21 : Subaru introduced the Impreza WRX STi Spec C, based on the Impreza WRX STi 5door, features enhanced engine and chassis performance as well as a lighter body on the premise of driving in motor sports. The twin scroll turbocharger newly adopted ball bearings for the turbine axle bearing, and the ECU (Engine Control Unit) program was also exclusively tuned. Thus the engine of the spec C model increases the maximum torque, and provides quicker response and improved accelerating performance. The adoption of an aluminum engine hood, laminar window glasses and a downsized battery resulted in a lighter body, which further refines the model's driving performance. 2011. 11.24 : Subaru Tecnica International Inc. announced the launch of the SUBARU IMPREZA WRX STI "S206", special performance edition. The body employs exclusive Bilstein shock absorbers, STI coil springs, a flexible tower bar (front), and a flexible draw stiffener (front). While improving straight-driving performance, motion is steadied when going into corners so that precise and quick turning is possible. Plus, "Michelin Pilot Super Sport" tires with "BBS" 19-inch aluminum wheels made only for this model. In the exclusively-made engine, the weight balance between piston, connecting rod, and crankshaft is optimized to enhance the rev feel. Along with a ball bearing turbocharger, ECU (Engine Control Unit) with STI tuning, and a sports muffler with lowered back pressure exhaust - all of which were designed for this model - the engine can deliver 235kW (320PS) in maximum output and 431N.m (44kg.m) in maximum torque. On the outside, the lower front spoiler and front fender outlet grille, both designed for this model, and the trunk spoiler are among its distinctive features. The newly-made front grille and side garnishes were also employed for aerodynamics improvement and a high grade appearance. In the interior are exclusively-made items such as a genuine leather-wrapped steering wheel, "RECARO" racing bucket seats, and seatbelts. Together they create a refined appearance and feel, appropriate for this flagship model. In addition, "NBR CHALLENGE PACKAGE" model was released. It features including, the carbon roof, the S206 dry carbon rear spoiler, and BBS 19-inches alloy wheels. 2011.11.24 : Subaru introduced the Impreza WRX STi A-Line type S, based on the Impreza WRX STi A-line, features including newly designed 18-inch alloy wheels, a rear spoiler (4door), and Recaro bucket seats (option).